Portuguese forward, Cristiano Ronaldo scored for the very first time as a Juventus player in their home game against Sassuolo in a Serie A encounter on Sunday. 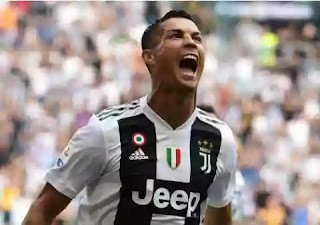 Ronaldo, who joined the Italian giants this season after completing a surprise move from Real Madrid, had gone three league games without scoring. 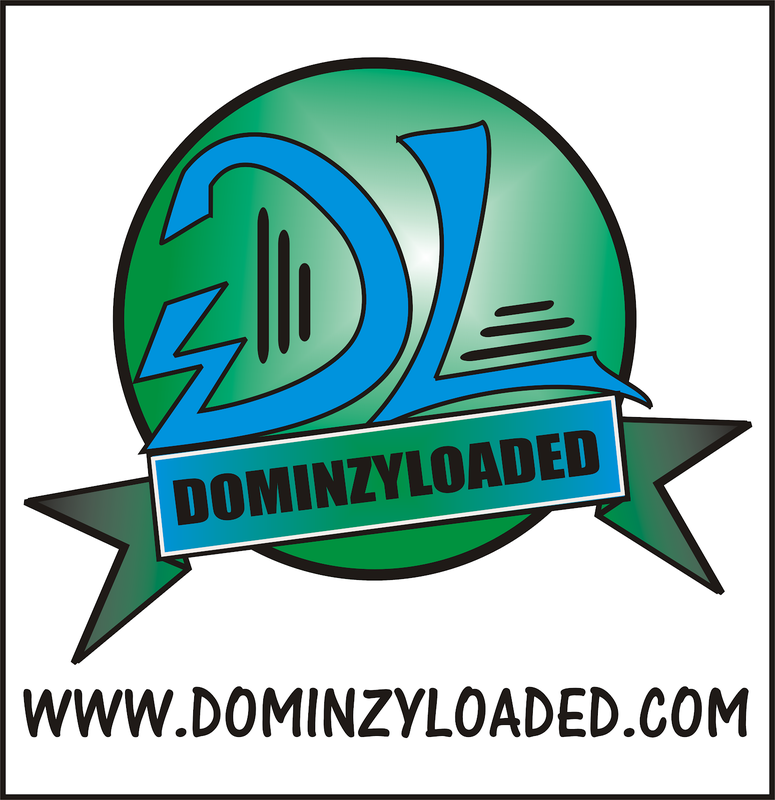 He has netted twice in the ongoing encounter, the opener coming in on the 50th minute after the visitors held strong throughout the first half, and the second in the 65th minute. Cristiano Ronaldo has ended a 320-minute wait for his first Juventus goal by netting against Sassuolo. The Portuguese superstar secured a €100 million (£89m/$116m) move to Turin over the summer after opting to bring a nine-year stint with Real Madrid to a close. He arrived in Italy as one of the most prolific marksmen of all time, but has had to be patient in a bid to open his account for the Bianconeri. 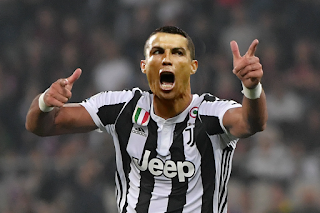 That wait has now come to a close, with Ronaldo finding the target in his fourth Serie A outing. His barren run had stretched beyond the 300-minute mark during a goalless first-half at the Allianz Stadium, but he did not have to wait long to make his mark after the interval. In the 50th minute, he found himself in the right place at the right time to prod home. Sassuolo made a mess of clearing their lines from a corner, with the ball rebounding kindly to Ronaldo off the post for the 33-year-old to tap into an empty net. A trademark celebration was quickly wheeled out, with a clear sense of relief as Ronaldo went through a well rehearsed routine. His effort from close range was his 28th shot on goal since joining Juventus, and it opened the floodgates. Just over 10 minutes after recording his first goal for the club, Ronaldo had his second. While his opener had been a little scruffy, the five-time Ballon d’Or looked more like his usual self when hitting the net again. As Juve swept forward on the counter, Ronaldo’s searing pace took him to the edge of the box. He required just one touch with his left foot after being picked out to fire a low drive into the bottom corner. Khouma Babacar later struck in injury time for Sassuolo, with Douglas Costa also seeing red due to a second bookable offence. It was too late for the visitors, however, as Juventus held on for a 2-1 victory that marks their fourth win in as many games this season. They enjoy a three-point lead at the Serie A summit over Napoli, who briefly pulled level with a 1-0 win over Sampdoria on Saturday. 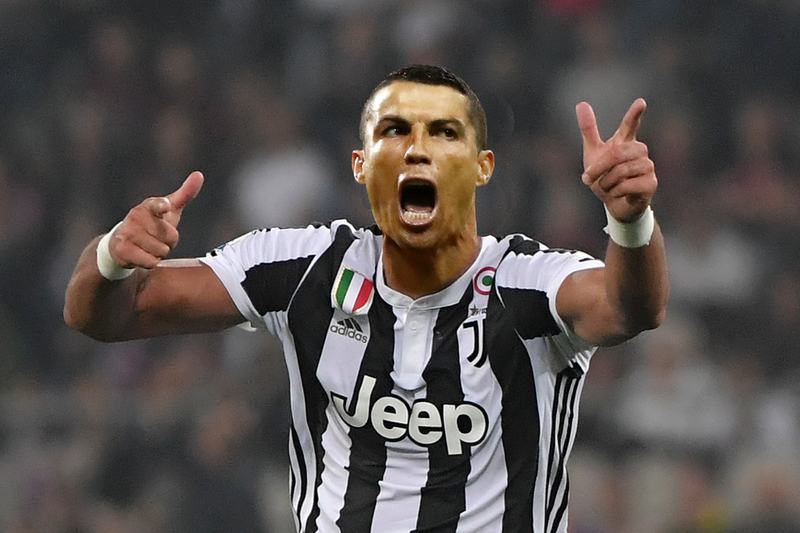 Juve will now expect plenty more goals to come from their star striker, with Ronaldo having recovered from slow starts during his time in Madrid to consistently blast past the 40-goal mark.